Business centre offering services such as cutting edge technology and office equipment. All offices come furnished with different sized offices. Convenient access to major highways and downtown Greensboro. This center offers serviced office space just outside the centre of Greenboro, with excellent transport connections and a great range of local amenities close-by. On-site parking is available, and the CBD is just a 5-minute drive away. An outstanding location for your business. The first class office offer premium office suites, cowroking desks, meeting space and a virtual office address. Clients will be enjoy this Grade A building that is complimented by the premium amenities that are offered. This location provides guests with 5,944 sq.ft. of space to choose from. Large meetings are equipped to hold over 40 people. This center is in a beautiful location with an upscale atmosphere. 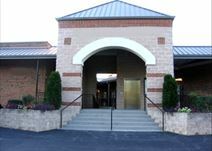 This center is situated just 10 minutes from Downtown Greensboro, and is surrounded by restaurants, shops and banks. This is a quiet and serene setting for your business, offering a full range of business support services.